Ask Dr. Universe: Why Do Volcanoes Die? How do volcanoes lose their magma? Dr. Universe explains! Each volcano’s life is a little different. Many of them are born when big chunks of the Earth’s crust, or tectonic plates, collide or move away from each other. The moving plates force hot, liquid rock or magma, to rise up from deep within the Earth. When things get super hot and lot of pressure builds up in the magma chambers, volcanoes can erupt. Some volcanoes can spew ash and lava several miles into the sky. Others will slowly ooze out lava. Just as each volcano is unique, so are the reasons they go extinct. Generally, though, if a volcano doesn’t have a source of magma, it won’t erupt. Read more about science from Dr. Universe! That’s what I found out from my friend John Wolff, a geologist at Washington State University (WSU). To explore more about how volcanoes lose their magma, Wolff and I headed to the plains of southeast Idaho. There, the remains of really old volcanoes are buried underground. Millions of years ago, we would have been able to see these volcanoes at the surface. They might have been spewing out lava and ash. But now, they no longer have their source of life. If you are anything like me, you might be wondering what on Earth happens to the magma. Wolff is really curious about this, too. He explained that volcanoes, and all of us, are riding on pieces of the Earth’s crust. These pieces of crust move very slowly — just about as fast as our fingernails grow. They move over heat sources, zones of hot, upwelling rock from deep in the Earth’s interior. It melts the crust when it gets near the surface to fuel the volcano. Eventually, when volcanoes have rafted away from the heat source, they falter and die. As the Earth’s crust moved, slowly but surely, over millions of years, the magma that was under old volcanoes in southeast Idaho ended up in Wyoming — under a big super volcano. Never having seen a super volcano before, I imagined a huge mountain erupting tons of lava. You can imagine my surprise when Wolff explained that this super volcano was actually Yellowstone National Park. Millions of years ago, the Yellowstone super volcano erupted and collapsed. There is still magma under Yellowstone, but we don’t expect it to erupt anytime soon. While a volcano may need to have magma to stay alive, there are still volcanoes that have a magma supply and can sleep for millions of years — and you thought us cats slept a lot. Some scientists are really curious about how the landscape changes, both above the ground and below it. In fact, they ask questions that are a lot like yours, Loretta. 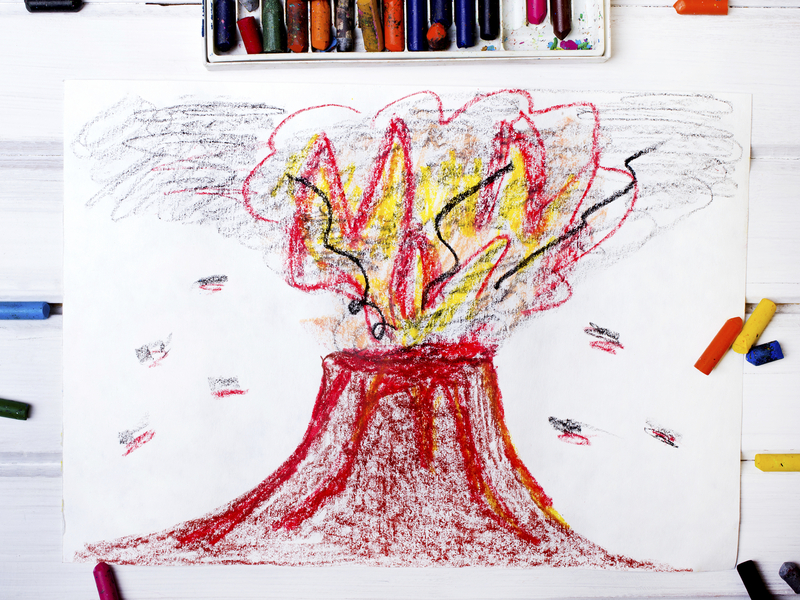 Who knows, maybe one day you could help us investigate the lives of volcanoes. Ever since I was a kitten, I’ve been digging in the dirt, gazing at the stars, exploring new places and asking a lot of questions. If you’re anything like me, you’ve got lots of questions about our world, too. Submit your question here or send a letter here to get your question answered by me and my friends at Washington State University. Ask Dr. Universe: Is Cancer Becoming More Common? Ask Dr. Universe: How Is Ice Cream Made?